Even the littlest builder needs the proper tools! 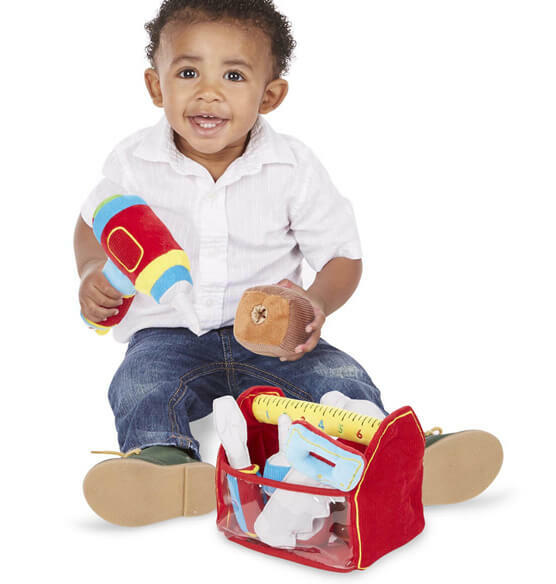 This Melissa & Doug® Personalized Toolbox Fill and Spill is a handy plush toolbox with a "ruler" handle. 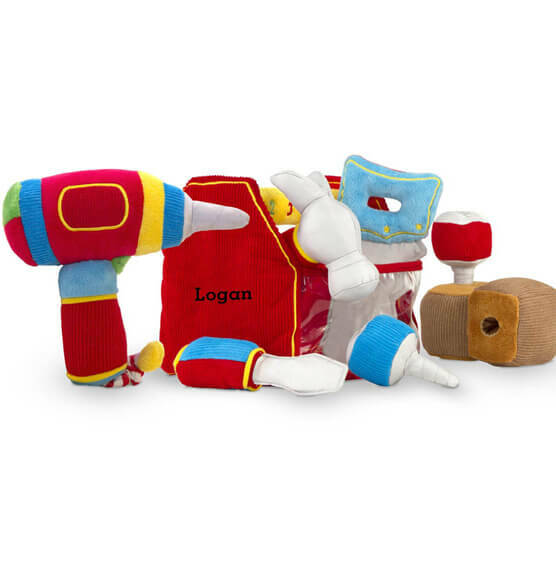 This nine-piece plush toy set includes a hammer, screwdriver, saw, nails, screws, blocks and a drill that vibrates. 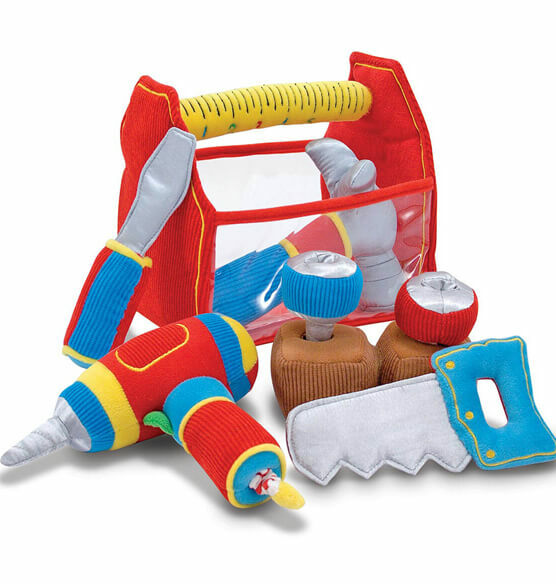 Constructed of high quality fabrics and pthalate-free plastic, this durable children's toy set will provide hours of spilling, filling and building fun. No express shipping. Allow 2-3 weeks for delivery. This item is expected to be in stock May 3, 2019. BEST ANSWER: Thank you for your question. It is recommended for 18 months and older. We hope this information will be of help to you.